After brother's death, where's my airfare refund? After brother’s death, where’s my airfare refund? After Irene Reitman’s brother passes away, she cancels her trip to Las Vegas. But American Airlines won’t refund her fare. Why not? Question: My husband and I were recently scheduled to fly from Chicago to Las Vegas on American Airlines. Unfortunately, my brother died shortly before we left, and we canceled our non-refundable tickets. I called for three days and received the same response. There was no opportunity to leave a message. I sent American Airlines two e-mails and received no replies. I faxed them a letter with a copy of the obituary — again, no reply. I sent a letter to the customer relations office in Dallas, and again, no reply. I would like a complete refund of my $705 airfare, but no one will talk to me. It’s very frustrating not to be able to talk to a person. I hope you can help. — Irene Reitman, Lincolnwood, Ill.
Answer: My condolences on your loss. American should have answered the phone the first time you called, instead of sending you through a bureaucratic maze during this difficult time. 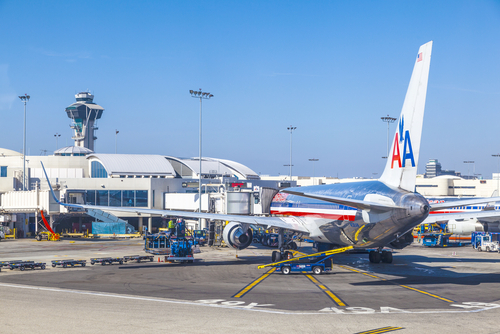 American’s policy on the death of a passenger, immediate family member, or traveling companion, is spelled out on its website. At the time you booked your ticket, it said a change fee may be waived or the ticket refunded, provided a copy of the death certificate is presented to American Airlines. In other words, American will let you miss your flight because of a death in the family, but if you send it a death certificate, it will offer you a voucher. If you’re a “no show” without proof of the death, you would lose the value of your ticket. If you had emailed or faxed your brother’s death certificate, along with your record locator, to the airline, I think you might have received the promised voucher. But it’s difficult to know. The airline was operating under bankruptcy protection at the time this happened, and things have a way of slipping through the cracks when a company is trying to restructure. You could have tried two other avenues. The first is an appeal to an American executive. I list their names and email addresses on my consumer advocacy website. The second would be filing a dispute with your credit card company, which might have succeeded if you could show that the airline isn’t following its own rules. Fortunately, none of that was necessary. I contacted American on your behalf. A representative got in touch with you immediately and sent you a voucher for $705. Should airlines refund a nonrefundable ticket when a close relative dies?